YouTube is a nice service that keeps us busy with entertainment all the time. We all use YouTube to watch videos or listen music in background while working. Sometimes, while listening songs, we feel it difficult to understand lyrics. So, we go on Google and search for lyrics. What if YouTube has an option to show lyrics along with video? Although, YouTube does not have an option of lyrics, but we can use browser extensions to see lyrics on YouTube video in browser. These are few add-ons and extensions for Chrome, Firefox and Opera. Add any of these in your browser and enjoy lyrics. 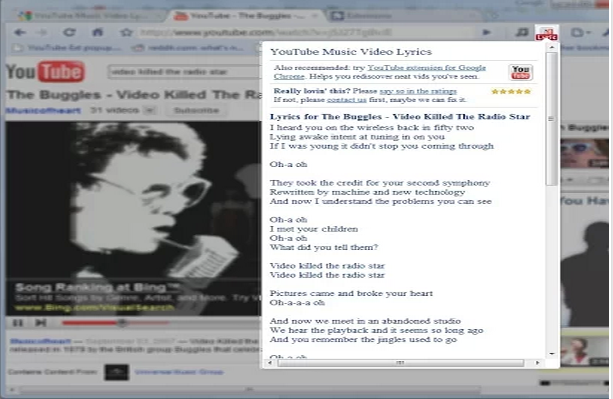 YouTube Lyrics by Rob W is nice browser extension available for Chrome, Firefox and Opera. It shows lyrics on Grooveshark and YouTube in a flexible pane. After installing this browser extension, open the YouTube and play a video. You will see a lyrics pane at the right side of the browser. You can also close it any time. You can also drag lyrics box to put anywhere on the page. Lyrics is a nice browser add-on for Firefox. It shows the lyrics of songs on YouTube. If you want to read lyrics while watching video on YouTube, it is a nice tool for your Firefox. 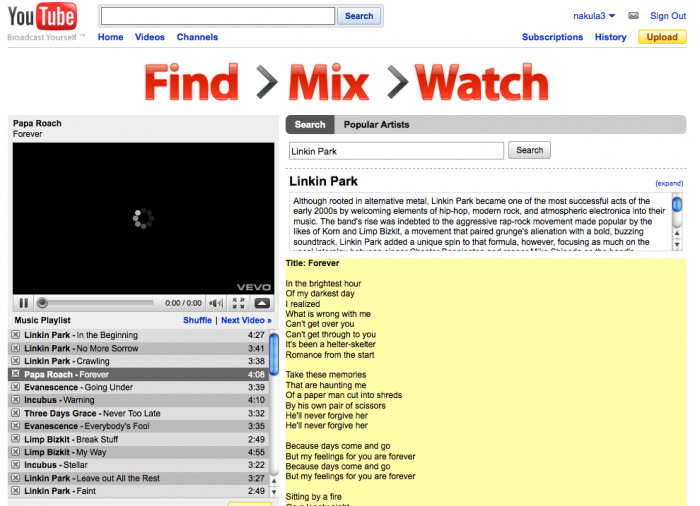 Music Video Lyrics for YouTube is a Chrome extension. It works similar to YouTube Lyrics by Rob W added above. After installation, it adds a button in the omnibar near address bar. Click on the button to see the lyrics of video. After clicking on the button, it will open a pop up box with the lyrics of the song currently playing on the tab. Google has many other nice extensions for Lyrics but Firefox and Opera have only few. I have listed best add-ons and extensions for all browsers. So you can select any according to your browser. If you face any kind of problem, you can comment below and ask your question.